Invite your friends to 8Share during this month of December and we’ll give you and your friends a bonus of RM2 each! PLUS, once your friend has earned RM3.00, you’ll automatically earn an extra RM1! Max 3 invites per 8Sharer. Promotion ends at 11.59pm (GMT+8), Thursday, 31 December 2015. You must fill in this form by the end of the promotion date to be eligible for the RM2 For You, RM2 For Me reward. Invited friend(s) may not have an existing 8Share account. 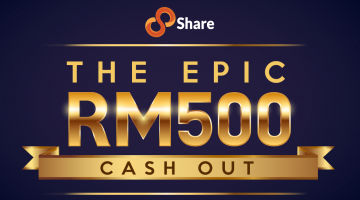 Your friend(s) must activate their 8Share account by the end of the promotion date for you to be eligible for the RM2 For You, RM2 For Me reward. Promotion does not apply to old referrals (friend accounts created before 12AM (GMT+8), Tuesday, 1 December 2015). 2114 natividad tayuman yuseco st.